BACKGROUND: Hyperpigmentation disorders are commonly encountered in dermatology clinics. Botanical and natural ingredients have gained popularity as alternative depigmenting products. OBJECTIVE: We sought to review clinical studies evaluating the use of different natural products in treating hyperpigmentation so clinicians are better equipped to educate their patients. Specific ingredients reviewed include azelaic acid, aloesin, mulberry, licorice extracts, lignin peroxidase, kojic acid, niacinamide, ellagic acid, arbutin, green tea, turmeric, soy, and ascorbic acid. METHODS: Systematic searches of PubMed and SCOPUS databases were performed in March 2016 using the various ingredient names, “melasma”and “hyperpigmentation.” Two reviewers independently screened titles, leading to the selection of 30 clinical studies. RESULTS: Review of the literature revealed few clinical trials that evaluated the treatment of hyperpigmentation with natural ingredients. Despite the limited evidence-based research, several natural ingredients did show efficacy as depigmenting agents, including azelaic acid, soy, lignin peroxidase, ascorbic acid iontophoresis, arbutin, ellagic acid, licorice extracts, niacinamide, and mulberry. CONCLUSION: The aforementioned ingredients show promise as natural treatments for patients with hyperpigmentation disorders. These agents might also provide clinicians and researchers with a way to further characterize the pathogenesis of dyschromia. However, the paucity of clinical studies is certainly a limitation. Additionally, many of the in-vivo studies are limited by the short length of the trials, and questions remain about the long-term efficacy and safety of the ingredients used in these studies. Lastly, we suggest a standardized objective scoring system be implemented in any further comparative studies. The advent of click chemistry has had a profound influence on almost all branches of chemical science. This is particularly true of radiochemistry and the synthesis of agents for positron emission tomography (PET), single photon emission computed tomography (SPECT), and targeted radiotherapy. The selectivity, ease, rapidity, and modularity of click ligations make them nearly ideally suited for the construction of radiotracers, a process that often involves working with biomolecules in aqueous conditions with inexorably decaying radioisotopes. In the following pages, our goal is to provide a broad overview of the first 10 years of research at the intersection of click chemistry and radiochemistry. The discussion will focus on four areas that we believe underscore the critical advantages provided by click chemistry: (i) the use of prosthetic groups for radiolabeling reactions, (ii) the creation of coordination scaffolds for radiometals, (iii) the site-specific radiolabeling of proteins and peptides, and (iv) the development of strategies for in vivo pretargeting. Particular emphasis will be placed on the four most prevalent click reactions—the Cu-catalyzed azide-alkyne cycloaddition (CuAAC), the strain-promoted azide-alkyne cycloaddition (SPAAC), the inverse electron demand Diels-Alder reaction (IEDDA), and the Staudinger ligation—although less well-known click ligations will be discussed as well. Ultimately, it is our hope that this review will not only serve to educate readers but will also act as a springboard, inspiring synthetic chemists and radiochemists alike to harness click chemistry in even more innovative and ambitious ways as we embark upon the second decade of this fruitful collaboration. 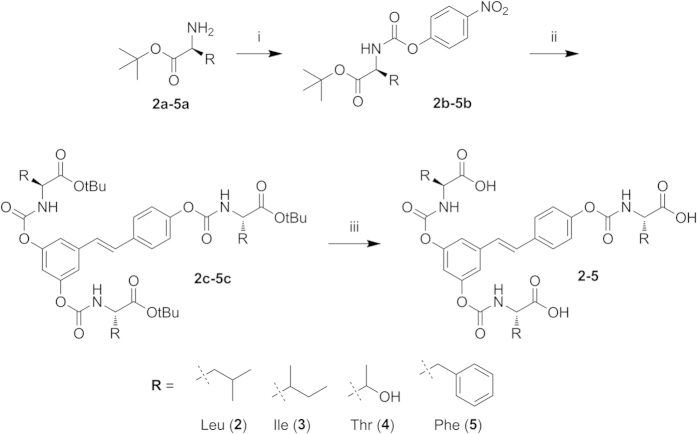 Organic Carbamates in Drug Design! Carbamate-bearing molecules play an important role in modern drug discovery and medicinal chemistry. Organic carbamates (or urethanes) are structural elements of many approved therapeutic agents. Structurally, the carbamate functionality is related to amide-ester hybrid features and, in general, displays very good chemical and proteolytic stabilities. Carbamates are widely utilized as a peptide bond surrogate in medicinal chemistry. This is mainly due to their chemical stability and capability to permeate cell membranes. Another unique feature of carbamates is their ability to modulate inter- and intramolecular interactions with the target enzymes or receptors. The carbamate functionality imposes a degree of conformational restriction due to the delocalization of nonbonded electrons on nitrogen into the carboxyl moiety. In addition, the carbamate functionality participates in hydrogen bonding through the carboxyl group and the backbone NH. Therefore, substitution on the O- and N-termini of a carbamate offers opportunities for modulation of biological properties and improvement in stability and pharmacokinetic properties. Carbamates have been manipulated for use in the design of prodrugs as a means of achieving first-pass and systemic hydrolytic stability. Carbamate derivatives are widely represented in agricultural chemicals, such as pesticides, fungicides, and herbicides. They play a major role in the chemical and paint industry as starting materials, intermediates, and solvents. Furthermore, organic carbamates serve a very important role as optimum protecting groups for amines and amino acids in organic synthesis and peptide chemistry. Peptide-based molecules are an important starting point for drug discovery, especially in the design of enzyme inhibitors. Because of their high affinity and specificity toward biological functions, peptide-based molecules also serve as valuable research tools. However, the poor in vivo stability, inadequate pharmacokinetic properties, and low bioavailability have generally limited their broader utility. Hence, a variety of peptide mimics are being developed to improve drug-like character along with increased potency, target specificity, and longer duration of action. To this end, several classes of peptidomimetics are tailored by replacing the native amide bond with unnatural linkages such as retro-amide, urea, carbamate, and heterocycles as peptide bond surrogates. These functionalities confer metabolic stability toward aminopeptidases, the enzymes involved in the metabolism of peptide-like drugs. The carbamate’s emerging role in medicinal chemistry is also due to its chemical stability and to its capability to increase permeability across cellular membranes. These attributes of organic carbamates have been exploited in drug design. As a result, the carbamate motif is becoming the choice for peptide bond surrogates. Resveratrol (3, 5, 4′-trihydroxy-trans-stilbene), a plant polyphenol, has important drug-like properties, but its pharmacological exploitation in vivo is hindered by its rapid transformation via phase II conjugative metabolism. One approach to bypass this problem relies on prodrugs. 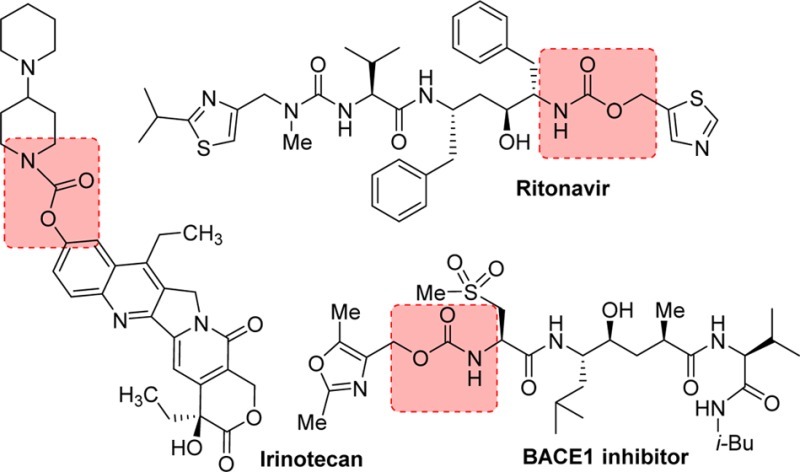 We report here the synthesis, characterization, stability and in vivo pharmacokinetic behaviour of prodrugs of resveratrol in which the OH groups are engaged in an N-monosubstituted carbamate ester (-OC(O)NHR) linkage with a natural amino acid (Leu, Ile, Phe, Thr) to prevent conjugation and modulate the physicochemical properties of the molecule. We also report a convenient, high-yield protocol to obtain derivatives of this type. 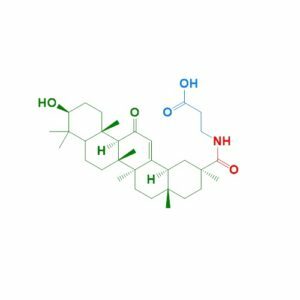 The new carbamate ester derivatives are stable at pH 1, while they undergo slow hydrolysis at physiological pH and hydrolyse with kinetics suitable for use in prodrugs in whole blood. After administration to rats by oral gavage the isoleucine-containing prodrug was significantly absorbed, and was present in the bloodstream as non-metabolized unaltered or partially deprotected species, demonstrating effective shielding from first-pass metabolism. We conclude that prodrugs based on the N-monosubstituted carbamate ester bond have the appropriate stability profile for the systemic delivery of phenolic compounds.